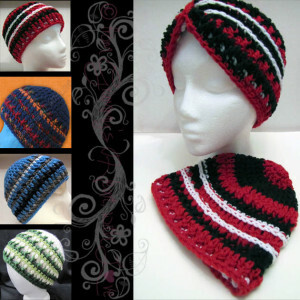 This pretty striped hat is designed to fit adults. And it’s perfect for both men and women. To crochet this you will need a worsted weight yarn and a J crochet hook. If you enjoyed this free crochet pattern you might also enjoy more designs by Designs from Grammy’s Heart, with Love.